CC Sabathia has had a bad knee. Started a few years ago. Not Kobe-Bryant-bone-on-bone but bad. He’s had surgery. He lost weight to put less weight on the knee. He didn’t have the hard fastball at the lower weight so he purposely put the weight back on. He talked with Andy Pettitte. A lot. About how to get hitters out without your hard stuff anymore. Last year, CC started to look a lot better. The results weren’t there — a 6-10 4.73 season — but he was much better in the second half. Couldn’t buy a win at times; giving the Yanks 6 or 7 good innings but losing. Then one weekend afternoon, Andy Pettitte day, with Pettitte guesting in the radio booth with John Sterling and Suzyn Waldman for an inning, CC threw a beautiful, hard sinker — his best of the season according to Pettitte, and on the next pitch had to leave the game. It was the knee again and looked devastating. Season over. But he was back 3 weeks later — and continued to pitch well. So well that when the season ended, CC was being counted on for heavy usage out of the pen if not the 4th starter spot. Then came his revelation that he was having substance abuse problems – the morning of the first playoff game. And he was gone again. This season — he is Back. Looked decent in spring training. As the season started, he was ok, but start after start was pitching better and better. Then a two-week spot on the DL, and last night — he was overpowering. The old CC. 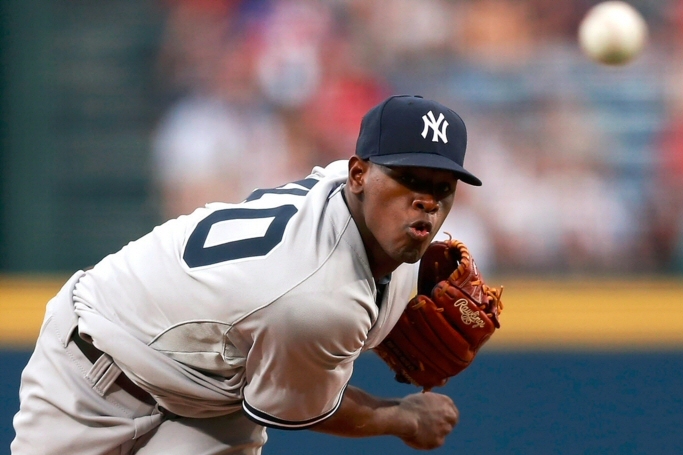 He is now 3-2 3.41 and last night won his 100th game as a Yankee. He is now 217-131 lifetime. And this morning, he has you thinking again about his Hall of Fame-ness. In my opinion — he is no doubt a Hall of Famer. He was one of THE dominant pitchers in baseball for over 10 years. He has won one Cy Young Award, should have won two. Should have won in 2010, could have won in 2009 or 2008. 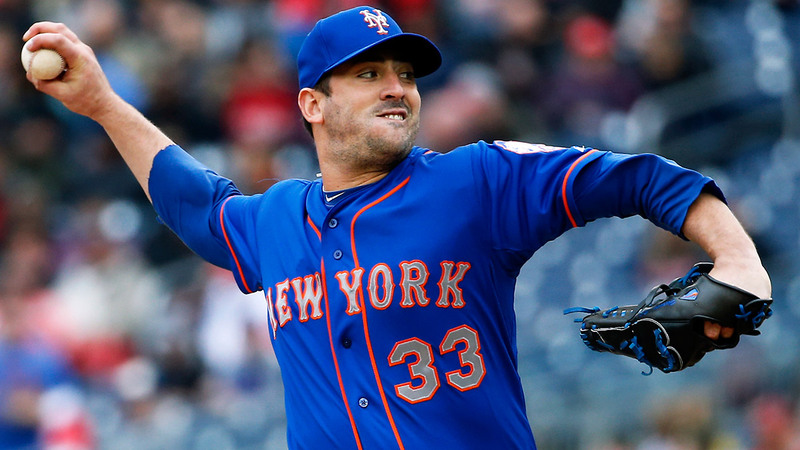 Five (5) times CC has been in the top-5 voting for Cy Young. That makes you a Hall of Famer straight away; hands down. Five (5) times he has been in the top 15 in MVP voting even though he’s a pitcher. That’s a measure of how he dominated baseball at his peak. 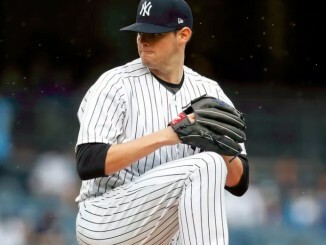 He has been a Great Yankee free agent acquisition — being a main part of their 2009 World series title — which should give a player a key to the city for life, and pitching great for the first 3 years of his 9-year contract, pitched well in year 4, battled thru knee injury in years 5-7, and this year — year 8 appears headed for a good year. CC is not going to get 300 wins, which somewhere along the line became some idiotic measure of Hall of Fameness for a starting pitcher — mostly based on performances in the 1970’s when, after the DH was invented, pitchers were throwing 30 complete games a year — winning 20 and losing 15. A lot of good pitchers accumulated a ton of wins and 300-game winners were dropping out of a hat. Even Phil Niekro has 300 wins, as does Don Sutton — and they weren’t the dominant pitcher CC has been. Can’t wait for each CC start now. The old man (only 35 years old by the way maybe he Can win 300) could become the ace of the staff if he keeps pitching like this and the knee holds up. 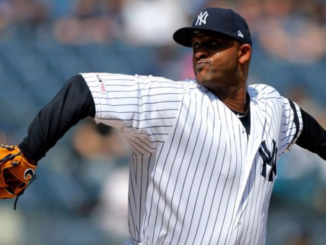 CC right now leads the Yankee staff in ERA (3.41 to Masahiro Tanaka’s 3.51). 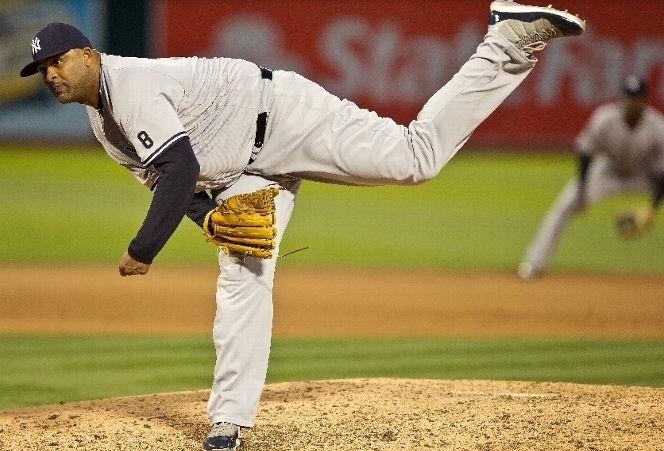 He has 3 wins (Tanaka has 1; Nathan Eovaldi leads the staff with 4). CC made the defensive play of the game, whirling off the mound to grab a bunt and firing to first for a big out with a runner on 3rd to end the 2nd. The knee seems to be ok. CC got stronger as the game went on — motoring thru the Oakland lineup in the middle innings. Just check out the play-by-play. Carlos Beltran continues BELTING the ball — he had 3 doubles. Ronald Torreyes got 2 hits including a tw0-RBI triple. Brett Gardner walked and got a hit — his average is only .248 but his OBP leads the team at .375 (higher than Ellsbury’s .353 despite Ellsbury’s .285 average).